When evaluating Project Management and Workflow Automation solutions for Marketing agencies, we had a chance to talk to numerous Marketing representatives and industry thought leaders. Our questions were around what online tools are usually used to ensure integrated Marketing services and management of Marketing campaigns – all while coordinating efforts with other teams and reacting to change timely. Based on the responses, we put together this article in hope to help you familiarize with the 12 must-have online tools your Marketing agency can use to improve your team performance and achieve competitive advantages. With Evernote you can capture, organize and access your thoughts and information anytime, anywhere, and from nearly any device. Since Evernote can read text within images, you can even snap a photo of existing notes and easily find them later. Evernote also allows you to save searchable information to share it in virtual notebooks with others, or even with your entire agency. Dropbox is a cloud-based, shareable hard drive. With Dropbox, you can sync files, photos, videos and projects saved on your work computer to your personal laptop or vice versa. When you make a change to a file, the previous version is automatically updated in Dropbox so you’re accessing the latest version no matter whether you view from your iPhone or PC. If you want to revert to a previous version or undelete a file, you can. With Dropbox for Teams, your entire agency can also share folders internally or with external clients or contacts, all while maintaining administrative control. Dropmark provides simple collaboration and file sharing in the cloud, with drag-and-drop facility from your desktop to browser, so your files are automatically uploaded to the cloud. You can invite colleagues to view and collaborate privately, and organize files into collections with sharable short links. You can view every collection as a fullscreen presentation, mixing images, websites and more. You can even drag in audio or video from YouTube, Vimeo, SoundCloud or your desktop to create custom playlists and podcasts. With the Dropmark for Mac app you can just drag and drop to your Mac menu bar and upload directly to your account. With Trello, you can create boards to organize anything you’re working on. This is a Trello board is a list of lists filled with cards, used with a team or by yourself. In your Trello card you can create checklists to keep track of to-dot, add comments to update your co-workers, add photos and videos and see who’s working on that card. Yammer is an enterprise social network provider that is now part of Microsoft’s Office Division. With Yammer you can organize meetings and events, share them with co-workers, and gauge attendance by collecting responses. The tool also allows to visualize your agency’s org chart so you know who manages and reports to whom and who to contact internally on a particular subject matter. 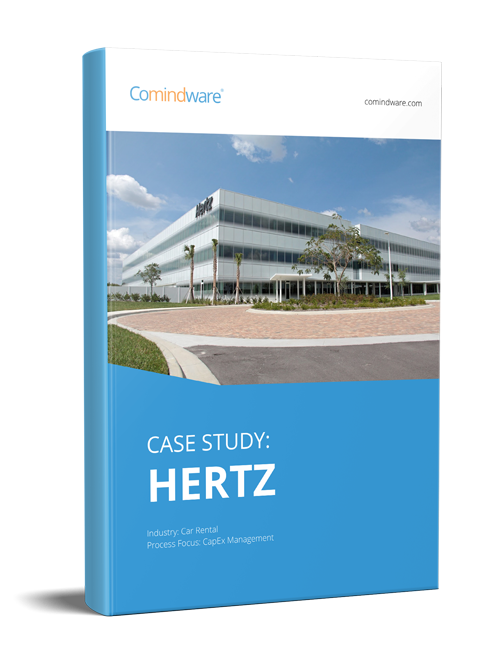 Comindware Project® is an innovative Collaboration and Project Management tool that simplifies planning for project managers and facilitates execution for team members. It provides project teams with a real-time view on project priorities and delivery dates, calculates the actual resource workload and availability as well as automatically tracks task completion progress. Built on top of Comindware Team Network™ – the industry 1st pre-integrated social collaboration platform – Comindware Project delivers a unified workspace for data and document sharing enabling highly efficient cross-team collaboration fully in context of work. Free 30-day trial is available here. Curata is a business-grade content curation software designed to quickly find, curate, share and analyze content on specific issues or topics. With Curata, you can also measure the effectiveness of content across all channels including websites, newsletters, blogs, and social media in a single location. Curata integrates with a host of marketing automation platforms, web analytics tools, content management systems, and social media channels. Content Marketer is a useful tool to build relevant outreach lists, promote content and build relationships. With Content Marketer you just need to pick a blog post or article that you would like to promote. The tool will scan your content and find the email addresses or Twitter handlers of people you mentioned so that your could outreach them easily and build relationships. Comindware Tracker is a workflow management system that nails down the process involved in getting content out the door, especially when there are numerous stakeholders who need to provide input or review content. With Comindware Tracker you can create customized workflow around getting different types of content done since the process is different for ebooks, blog posts, tweets, Facebook updates, etc. Request free 30-day trial here. Optimizely is a experience optimization platform enabling A/B and multivariate testing for users to enhance their websites & mobile apps. Unbounce lets marketers build high-converting landing pages without IT pros. You can enjoy 1-click publishing, A/B testing and a suite of best-practice landing page templates. Meet Unbounce at their mini conference series – Conversion Road Trip ! In partnership with Unbounce, Comindware is providing 10%OFF conference entrance fee. The conference will allow your team to learn about landing page campaigns, PPC, design, copywriting, conversion rate optimization, A/B testing and more from some of the most influential names in the business and walk away with actionable content to take back and implement into their marketing campaigns. The conference series kicks off in New York City on June 1st with stops in Toronto on June 3rd, Chicago on June 5th and wraps up in Boston on June 8th. To claim your discount, use the coupon code “comindware” in your shopping cart. A Resource for Agency Owners – immediate actionable steps you can take right now to make a difference in your business by Jason Swenk and adding value agency owners community. Fuel Lines – new business resources for Advertising, Digital, Media and PR Agencies by Michael Gass. The blog has been rated among the top 100 marketing blogs in the world, according to Ad Age’s Power 150. Inbound.org – The Community for Marketing Professionals. In a Marketing Agencies Group with members from 35+ countries you will find tons of information helping you run your agency better. Marketing Agency Insider – Developed by Paul Roetzer, Marketing Agency Insider is the hub for marketing agency news, information, resources, training, education and engagement. Agency Post – HubSpot’s blog for the Agency Professionals. MAGNET Global Network – a collaborative network of the world’s top marketing and advertising agencies. This organization and its member agencies represent more than 800 clients worldwide. Agency Search Portal – Sortlist provides you with free tools to showcase your agency and connect the Sortlist community of marketers seeking for your service. The marketing landscape is constantly shifting as new strategies and tools arise. Agencies that don’t adapt their services to meet the demands of timely and relevant inbound marketing will simply get left behind. Stay ahead of the curve and succeed!